Sydney quantum computing startup, Q-CTRL, will unveil a set of new “quantum firmware” techniques at the American Physical Society on Friday 8 March, in Boston, Massachusetts, which have the power to deliver large performance improvements for quantum computing hardware built by global companies like Google and IBM. These developments will help the community accelerate the path to the first useful quantum computers, capable of solving important problems in chemistry, drug discovery, and industry. Thursday 7 March, 2019, Boston Massachusetts, USA – At the American Physical Society (APS) March meeting on Friday 8 March, the team from Sydney quantum start-up Q-CTRL, will present a series of new techniques with the power to drive big performance gains for superconducting quantum computers used by companies such as IBM, Rigetti and Google. “The work we’re presenting tomorrow focuses on custom solutions that target the errors limiting superconducting quantum computers. These developments help the community accelerate the path to the first useful quantum computers, capable of solving important problems in chemistry, drug discovery, and industry,” said Q-CTRL CEO and Founder Professor Michael J. Biercuk. Quantum computers take various exotic forms, with some of the world’s largest technology companies building specialized circuits out of loops of superconducting materials. These materials allow electricity to flow with no resistance, but also enable information to be encoded in a totally new way. However, this approach brings a major challenge – the hardware is unstable and extremely susceptible to error. A typical quantum computer today suffers so many errors that it becomes useless after less than a thousandth of a second – an extremely short time before the notorious “blue screen of death” would appear. Q-CTRL uses quantum control engineering to stabilize this hardware, enabling it to do more, and remain useful for longer. At the APS meeting – the premier technical conference for presenting new developments in quantum computing – the Q-CTRL team revealed a set of new techniques developed in-house that target some of the most serious sources of error in superconducting quantum computers. In a quantum computer, the operations needed to perform a computation must ultimately be realized as actual manipulation of hardware. 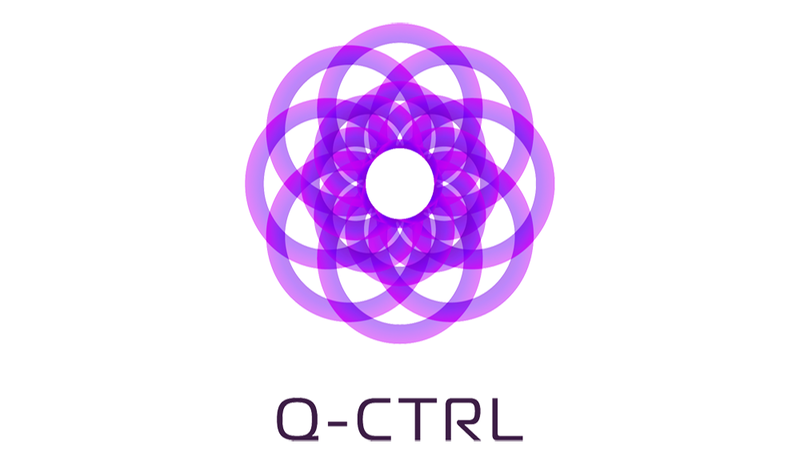 Q-CTRL redefines what this manipulation looks like, using “modulation” concepts similar to the way radios and mobile phones work,msuch that the same computation is run, but with better performance. Quantum control is already used at a basic level by almost all teams to reduce errors. One popular approach, known as “DRAG”, facilitates the reduction of one kind of error called leakage, or loss of information, but is hard to combine with complementary techniques designed to reduce other kinds of errors. The team at Q-CTRL has leveraged its own custom research tools to invent a new way to simultaneously achieve suppression of leakage and other sources of error by building a new “single-axis DRAG”. This new solution is fully compatible with a wide range of known techniques to suppress other error sources, such as crosstalk and dephasing. Q-CTRL has also invented a suite of new error-reducing control solutions for two-qubit gates employed in these processors. Leveraging its expertise in quantum control, the Q-CTRL Quantum Engineering team produced novel modulation schemes to combat the imperfections that can limit the performance of the so-called entangling operations that are needed to make two-qubit gates functional. “These research results are an example of our ability to address the most pressing challenges in quantum computing and also a demonstration of the powerful professional-grade products we have built and which we used to perform this work,” said Dr. Michael Hush, Lead Quantum Control Engineer at Q-CTRL.